Why do we even need to cool anything? One of the biggest enemies of all desktop computers is heat. Due to the impedance of the electronic circuits in chips, heat is generated as a form of energy loss. Heat must be dealt with and there are two ways to go at it. 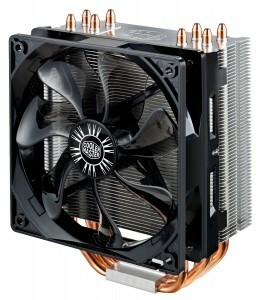 There is the cheaper and more commercial use of an air cooler, which resembles a heat sink and a fan. The other way to tackle the issue is to use liquid cooling. For a liquid cooling solution, you would need water blocks on the parts you wish to cool, a water pump, a water-to-air heat exchanger (radiator + fan) and a reservoir for the liquid. 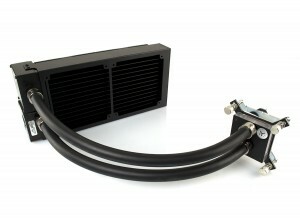 Liquid cooling components for desktop computers were not commercially available until the end of 1990s. Everything was homemade, mostly out of car radiators, aquarium pumps, homemade water blocks, all connected with various PVC or silicone tubing. Very old and simple liquid cooling parts. Over time, the rise of desktop PC computing power has brought along higher thermal dissipation of chips. 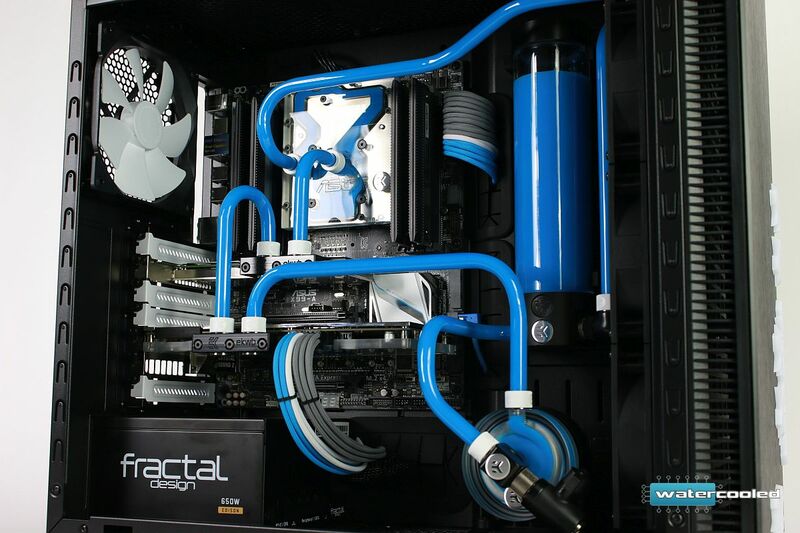 It has led to the growing popularity of liquid cooling as well. Today we can all pick up high performance commercial liquid cooling components from a local retailer or buy them from online stores. 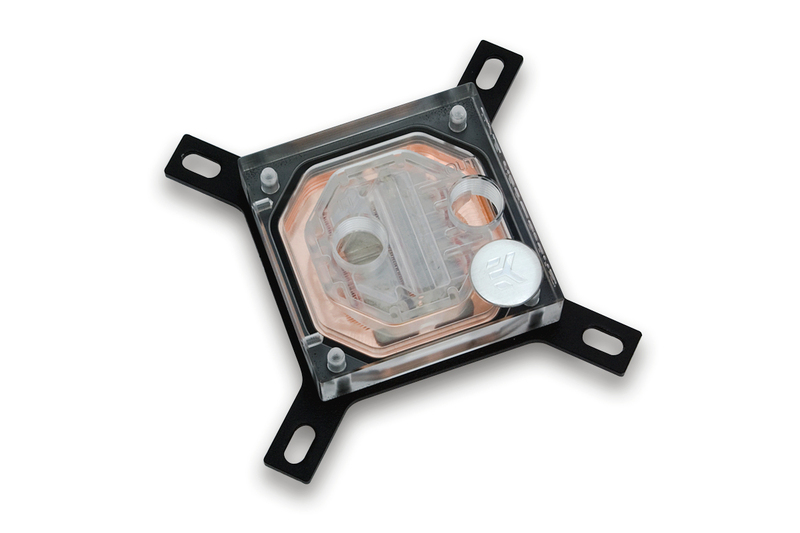 Modern CPU water block, with sophisticated flow design. 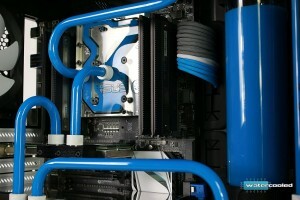 Nowadays, there are two main reasons why people turn to liquid cooling. The first one is performance and the other is aesthetics. There is also a third reason, quiet operation, which is not always necessarily involved. 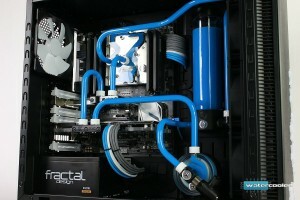 That brings us to the choice of components for liquid cooling. 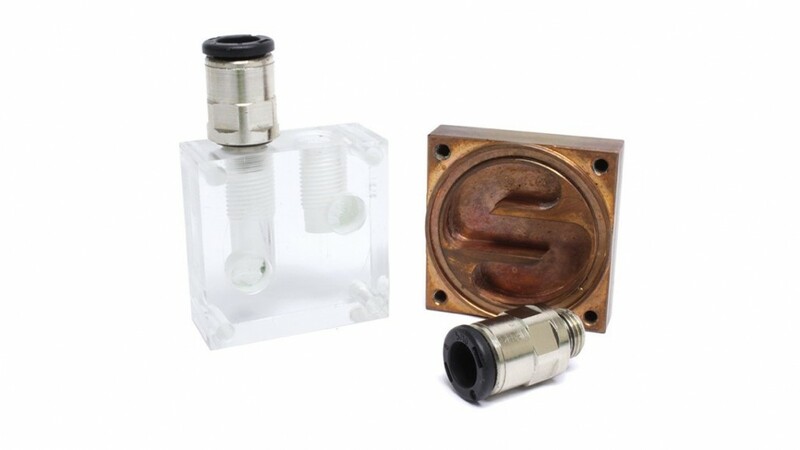 If you choose quality parts, pumps and fans, you can achieve high performance and silent operation. 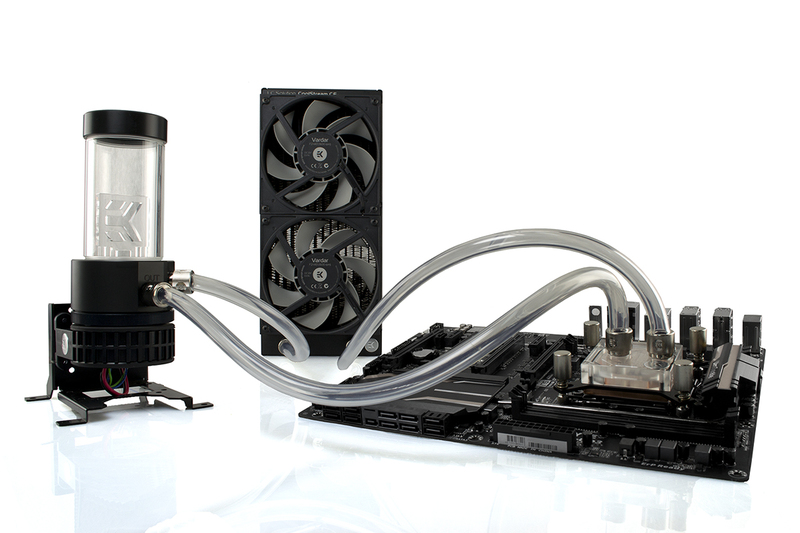 EKWB provides the liquid cooling market with top quality components for almost every part in your PC. The branch of aesthetics is very broad and subjective. 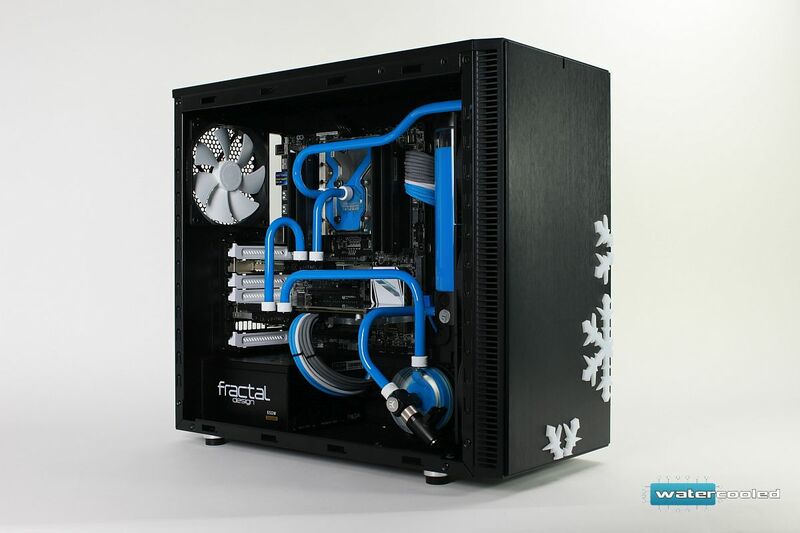 It stretches from a simple, clean build to elaborate mods with multiple graphic cards, hard tubing, etc. The use of liquid cooling provides countless options for customizing, which leaves the end user with a unique setup. We could directly connect certain water cooled builds to „art“. Nothing gives more pleasure than owning or building your own unique liquid cooled setup. See our “Featured builds & mods” section for more. A work of art from watercooled.ch that shows the beauty of liquid cooling. There are three basic states of matter: gas, liquid and solid. For a start, air is more of an insulator than it is a conductor. Liquids and solid materials are better conductors of heat. In comparison to air, liquid cooling is 2-10 times more effective in transporting heat away from a source to a secondary cooling surface, where the ratio depends on the way it is utilized. An ideal coolant has a high thermal capacity, low viscosity, and low cost, and should be non-toxic and chemically inert (not causing corrosion in the cooling system). 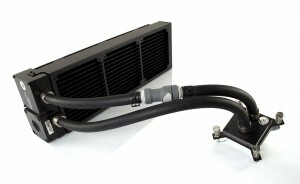 The most common coolant is water because of its availability, low cost and high heat capacity. It is usually used with additives, anticorrosives and/or biocides. 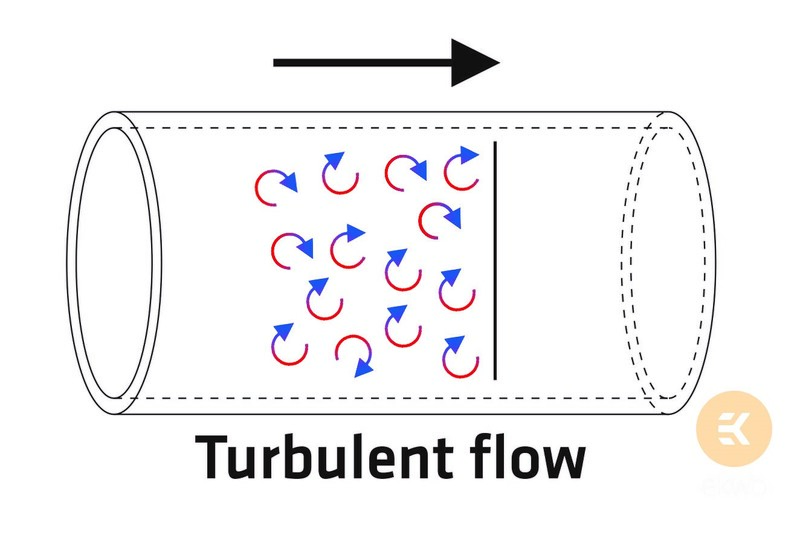 Without you having to attend fluid dynamics lectures, we will try to explain the physics behind water cooling. Cooling with liquid does not set us free from the „boundary layer“ problem we have mentioned as the major flaw of air cooling. 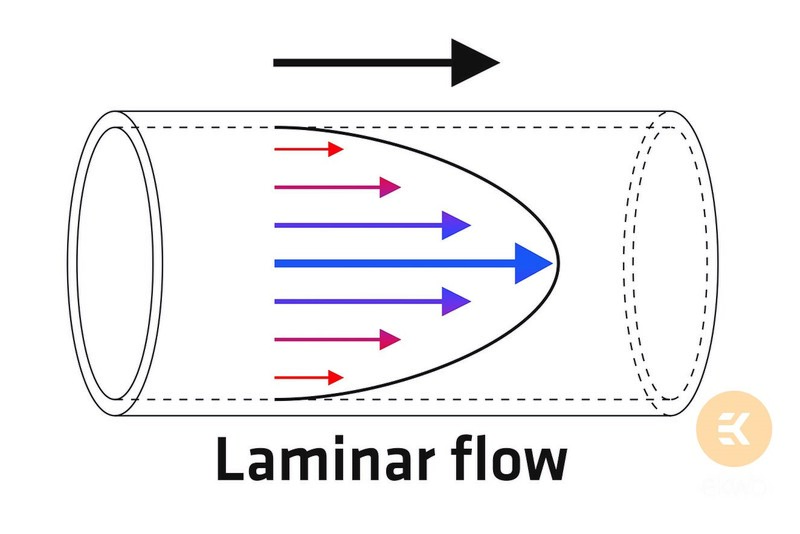 Liquid, by the laws of fluid dynamics, tends to flow in layers, the so called „laminar flow“. The liquid closer to the walls of the tubing and the walls of the water block almost stands still, creating a thin layer of insulator. On the other hand, the liquid in the middle has less drag and flows the fastest. 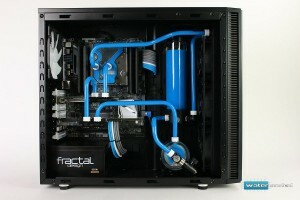 Laminar flow is not something that you want in your water block. 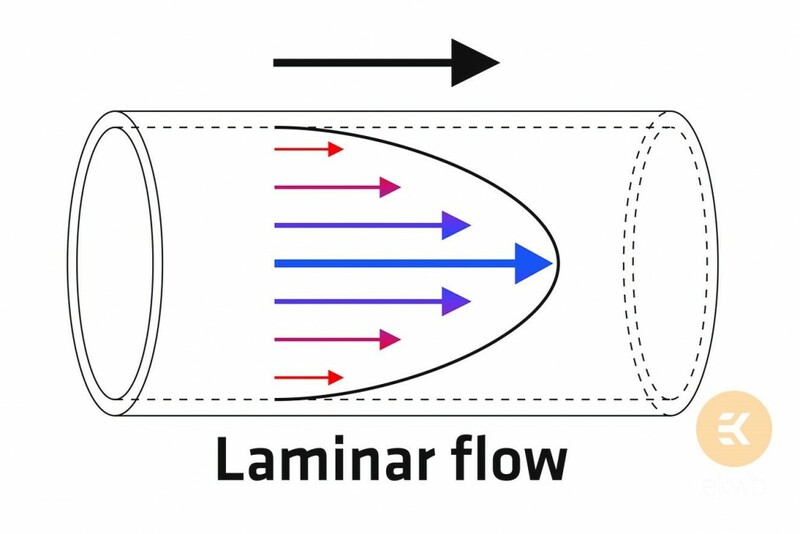 The opposite to laminar flow is turbulent flow which can be (as studies show) 1-5 times more efficient at transferring heat. 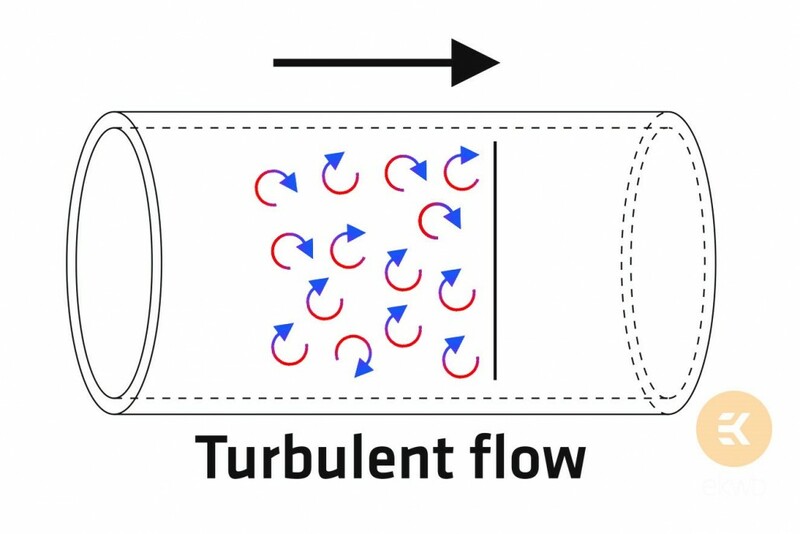 There are two ways to increase turbulence; one is to increase the flow rate and the other is to use jet plates in the water block, or other forms of turbulators. So in short, water is transfers heat more efficiently because of its high thermal capacity. Using a high flow rate of coolant through an efficient water block will beat any air cooler. What is the loudest and the hottest part of a gaming PC? 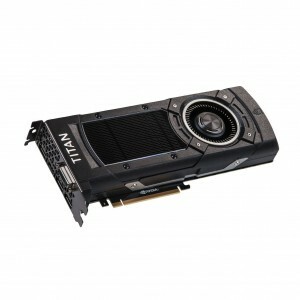 The segment where liquid cooling can throw in the biggest punch today are graphic cards. High-end graphics cards can generate twice as much heat as high-end CPUs, making the GPU often the number one heat source in a computer. 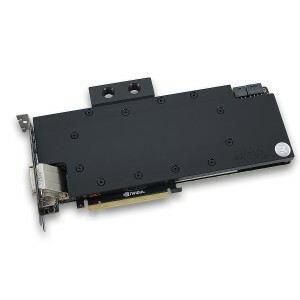 Any full cover water block takes care of high temperatures, extends the lifetime of the GPU and gets rid of the “my-stock-fan-just-died” problem, which is very common. With liquid cooling you can raise the clock of the GPU and get better performance in games, and we all love high frame rates and smooth gameplay! Below you can see the clear difference between NVIDIA® TITAN X graphics card that uses stock air cooler (left) and the same card that has EK Full-Cover block installed. More on how to get better performance out of your graphics card in one of our next blog posts! TITAN X with stock (air) cooler on the left and TITAN X with EK Full-Cover water block on the right. Liquid cooling does come with a price tag, like everything that is good. There are no shortcuts in life and therefore, there are no shortcuts in cooling either. If you want the best performance and best visual effect, it will cost more. There are two ways you can start your first liquid cooling adventure. You can buy a pre-assembled and pre-filled All-In-One or AIO solution or you can buy each individual part yourself and assemble a custom loop on your own. If you are interested, but don’t know which solution fits your budget, click here. Should I buy an AIO solution or assemble a custom loop? More in our next blog! Liquid cooling usually takes more time to set up. But it’s no harder than building a PC and you can use the regular tools as with assembling a PC. 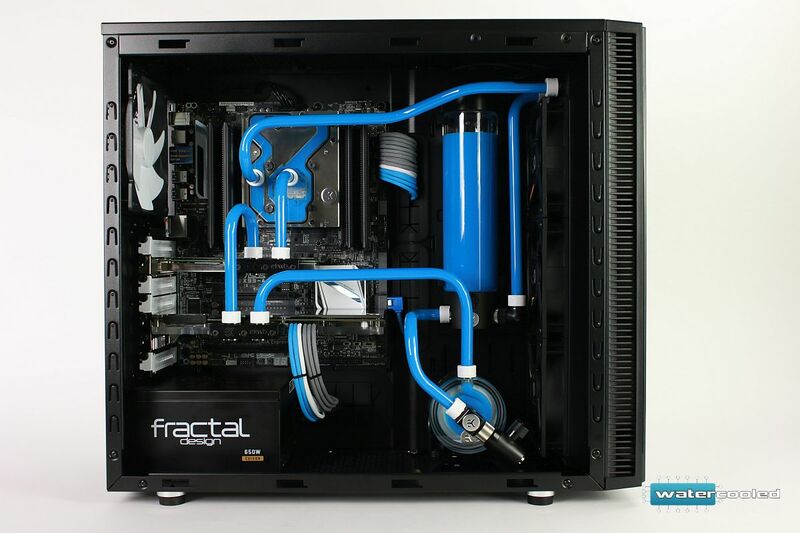 EK offers very detailed instructions with all of its components and kits and even this blog was created to help you take your first steps and educate you about all things liquid. The most common fear in the beginning is the fear of water spills and leaks. Such things can happen, but components today are much more reliable than they were a decade ago when everything was more or less DIY. In the future we’ll also show you why you don’t have to worry if you spill anything and how to test everything before you run your first liquid cooling loop. 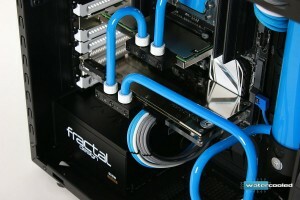 Once liquid cooling is installed, you can pretty much run your computer like you would normally do. Occasional inspections of the loop are recommended and we do provide you with maintenance tips here. Consider this article an introduction to the basics and benefits of liquid cooling. We did not wish to go into too much detail on any subject (the part about fluid dynamics was not elaborate, trust us). There will be more articles to come, which will be more thematic and targeted. 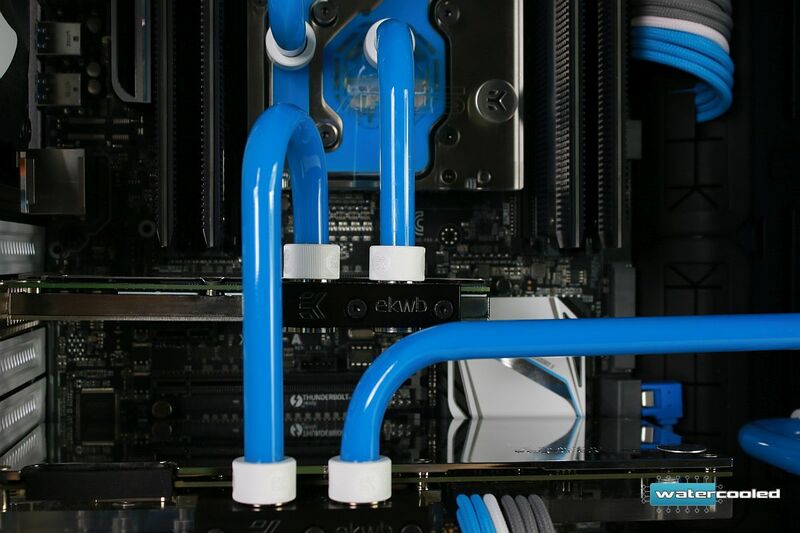 Whether you are just reading about liquid cooling for the first time or you are a veteran with your own water cooling setup, you should stick around with us. We will talk in detail about literally everything that is involved in liquid cooling, and we will do some myth-busting too, since there is a lot of contradictory information on the internet. PS: If you like the cover photo, follow Malik Customs!